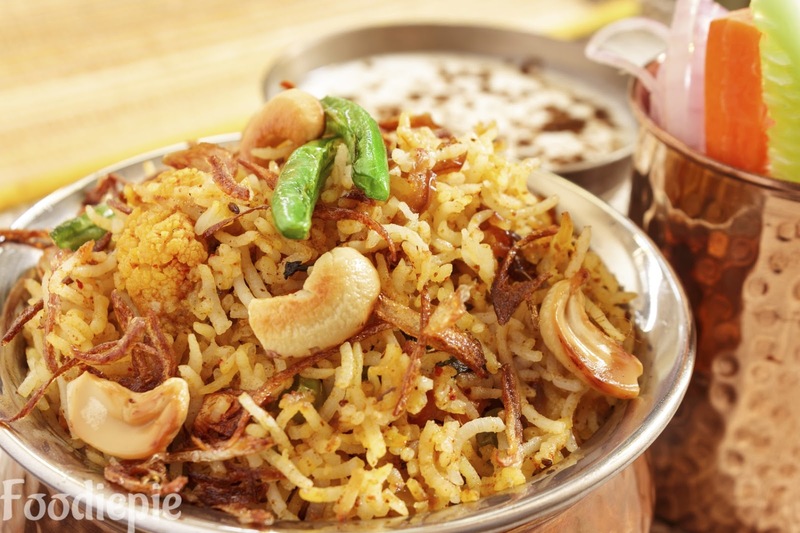 Veg Biryani - Vegetable Biryani is one of the most famous traditional dishes made with some easily available ingredients. This unique dishes make for an ideal healthy meal made with rice, spices and veggies, Veg Biryani is often prepared for special occasions and festivals. While serving with raita, salad and gravy, it tastes best.This is a traditional way of making Veg Biryani Recipe utensil, which is cooked flour and slower. We recommend that you follow the authentic way of preparing this Veg Biryani because it tastes better and fragrant while preparing it in a traditional way. To make this interesting, you can add tastes to this recipe by adding flavor according to your preference.This will make Veg Biryani amazingly delicious.Let's Checkout recipe first. Step 1 : First of all Clean the rice wash and soak it in water for 20 minutes, then remove excess water and Boil it. Step 2 : Put 5 cups of water in a vessel, keep boiling, add 1 teaspoon, 1 inch cinnamon, peeled cardamom and 3-4 longs in water. When the water comes to boil, add the rice to the water and cook it 80 percent as the rice because after we cook rice in steam, the rice will be cooked completely and ready. Step 3 : When the rice is ready to boil, prepare the vegetables on the other side, add oil in the pan and heat it on a high flame add carrot,capsicum,beans and fry them for 1-2 minutes. (all the vegetables we have to keep crunchy, do not fry for a long time. Step 4 : After cooking the rice, drain all water from rice, put rice on the other vessel so that it cools quickly, Remove cardamom and cinnamon stick from rice and let the rice cool down. Step 5 : Now heat remaining oil again and add cumin seeds, fry a little bit by adding ginger paste and green chillies. Add turmeric powder and coriander powder, fry a little bit of spices. Put small tomatoes in a spice and fry the tomatoes until mash properly. Step 6 : Add salt, red chillies and cracked crushed garam masala (2 long, black pepper, half inch of cinnamon, peeled small cardamom and cracked) and mix, fry the spices. Now add curd to the spice and fry a little, the spices are ready to fry. Mix vegetables fried in roasted masala and mix. Vegetables are ready for biryani. Rice has also become cold and ready. Step 7 : Take a large and heavy bottom Vessel, put 1 tbsp ghee on the bottom, and add half the rice, spread one layer of rice in the bottom of the vessel, Now put the cooked vegetable on top of the rice and cover the rice by spreading like one Now, put the remaining rice on the vegetable and add the same layer. Step 8 : Put cashews and raisins on the rice, put green coriander leaves and puddina leaves by hand, put 4 teaspoons melted Ghee on top. Put the saffron 2 table spoons in water,and leave for 5 minutes thenput the saffron water all around the biryani and now close the lid of the biryani well and keep it for 15 minutes on slow Flame. Finally : After 15 minutes Open the lid of the vessel, mix all the ingredients and rice well; Garam hotdum biryani is ready, serve biryani with curd or chutney and eat it.